UPDATE (7/8): While we initially reported more than 250 lives saved in this rescue operation, in the days following the raid that number has climbed to 300 victims. The animals are now receiving medical and emotional care in an off-site ASPCA facility. Your support is still urgently needed. Update (7/1): View photos from our rescue efforts in Alabama on Tuesday, June 30 and Wednesday, July 1. This post was originally published on June 30, 2015. The ASPCA is on the ground assisting the Moulton Police Department in the removal of more than 250 animals from Lawrence County Animal Shelter in Alabama. 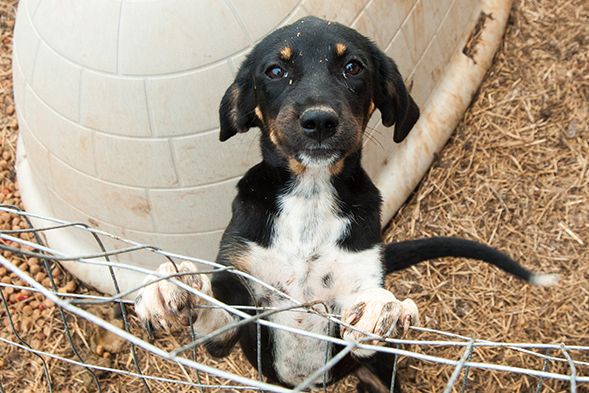 At the scene, our responders discovered the animals—including dogs and cats of all breeds and ages—living in filthy, deplorable conditions. 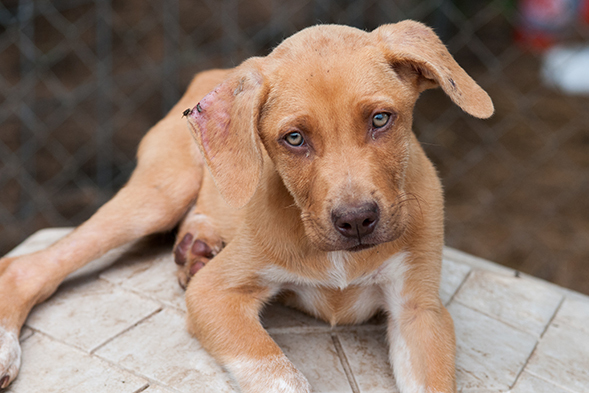 Many of the animals were emaciated and appeared to be suffering from medical issues such as parvo, distemper and untreated wounds. Some of the animals were being housed in small wire crates and others in crowded enclosures where animals fought for resources and space. The ASPCA’s Medical Animal Surgical Hospital—a custom-built, mobile animal hospital—will allow veterinarians to provide critical care to animals on-site. From there, we will transport the animals to a temporary shelter in an undisclosed location to provide them with additional medical treatment and behavior enrichment. The Lawrence County Commission has terminated its contract with Lawrence County Animal Shelter following a complaint from a shelter volunteer citing animal abuse and mistreatment at the facility. 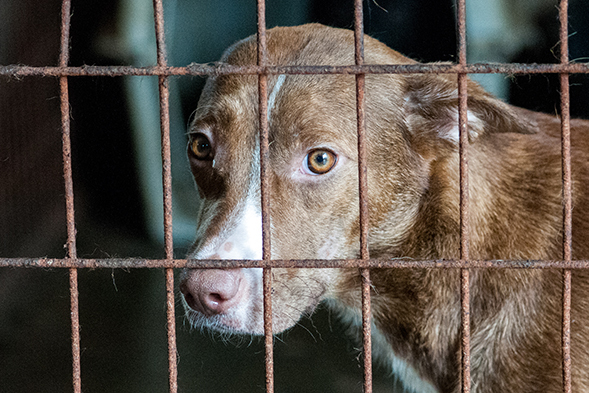 ASPCA experts are collecting and analyzing forensic evidence and providing legal support to help strengthen the criminal case and ensure the best outcomes for the animals. We’re grateful that these 250 animals will no longer suffer in secrecy. Unfortunately, our work is far from finished—we need your support so we can continue to provide care for these animals, and for countless others who are waiting to be rescued. Please consider making a donation to the ASPCA today.